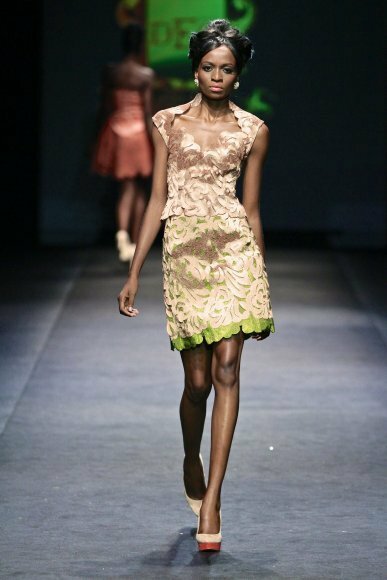 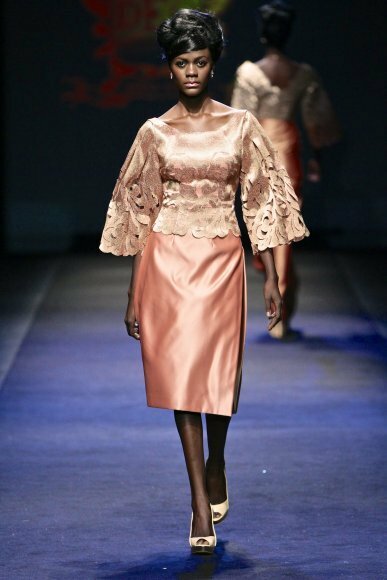 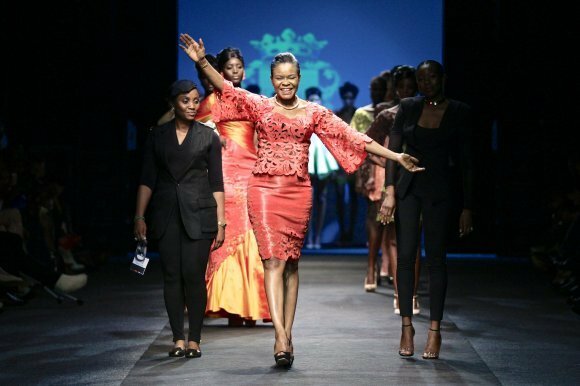 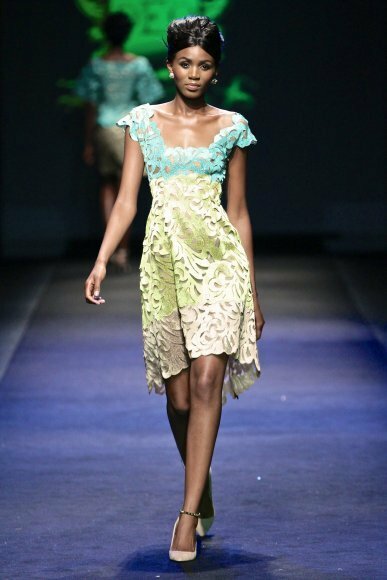 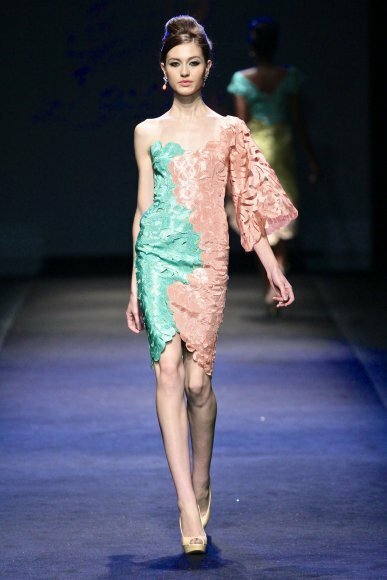 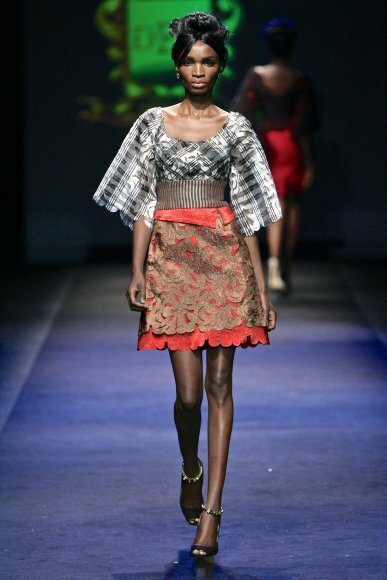 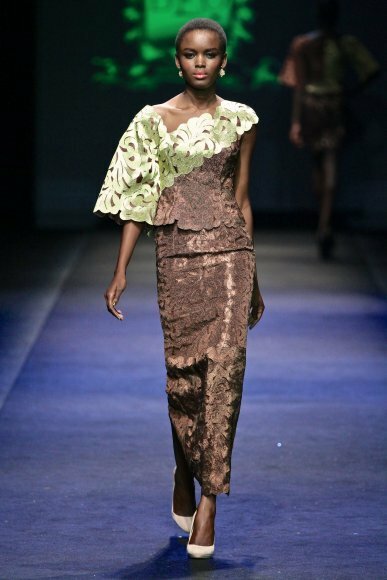 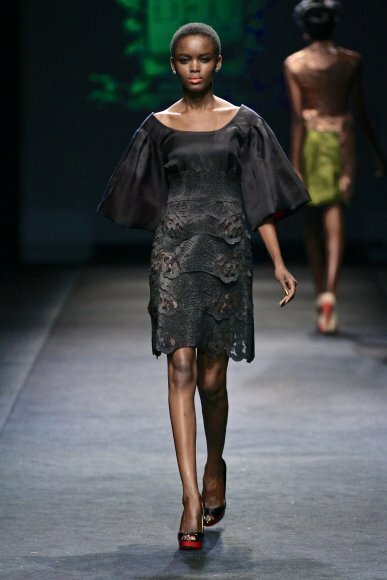 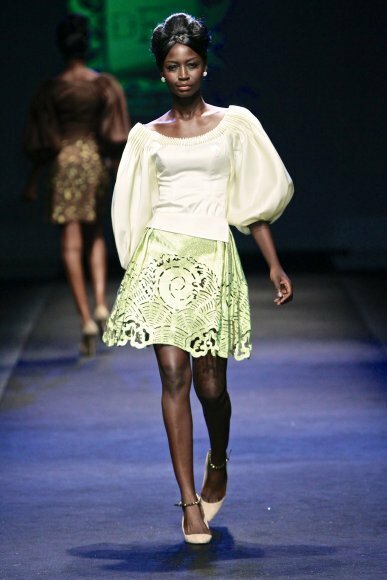 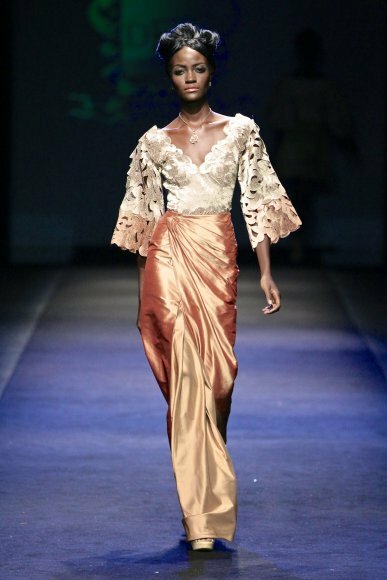 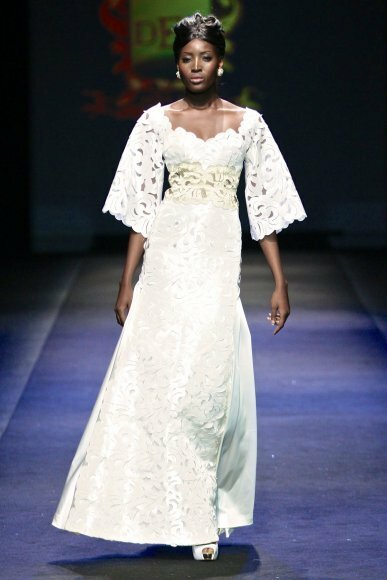 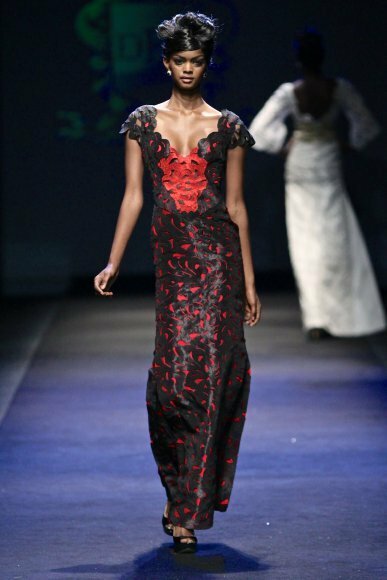 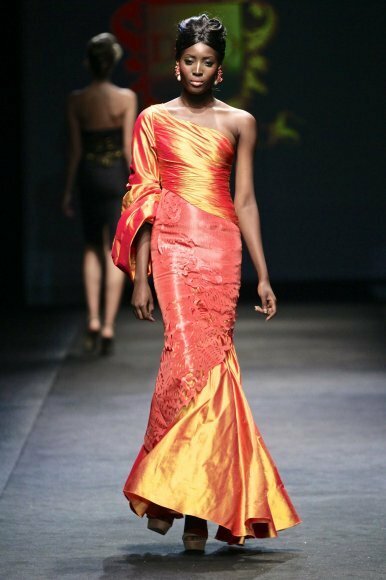 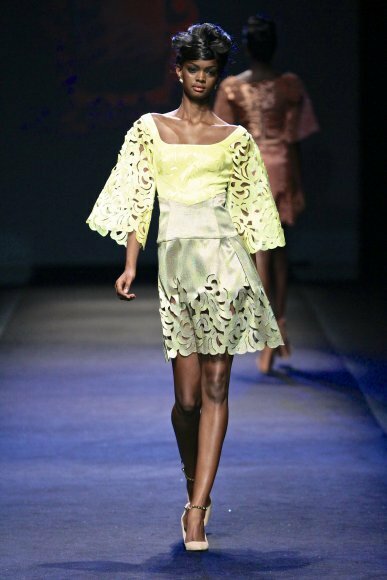 Day 4 of Mercedes Benz Fashion Week Africa saw the Nigerian queen of couture Deola Sagoe who presented her new collection ‘Komole’ which, in the designer’s words, ‘inspired by the work of Shade Thomas Fahm, a designer and woman’s activist in the late 60′s and 70′s. 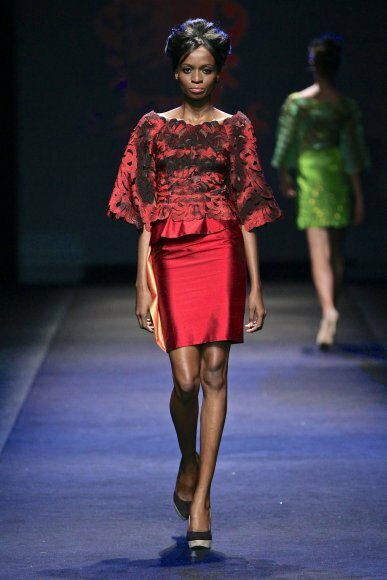 The models’ high up-dos and A-line lace skirts in an array of vibrant colours were suitably ’60s with a touch of African – think Nigerian party-wear with a fashion-forward feel. 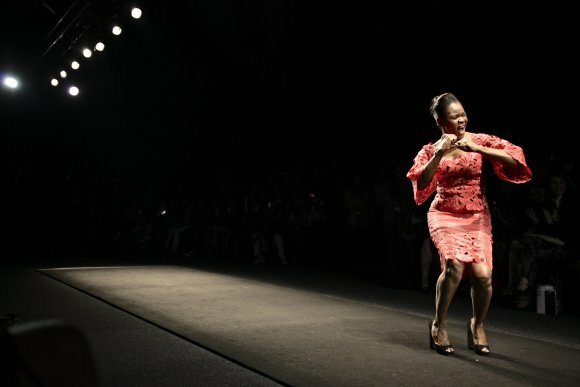 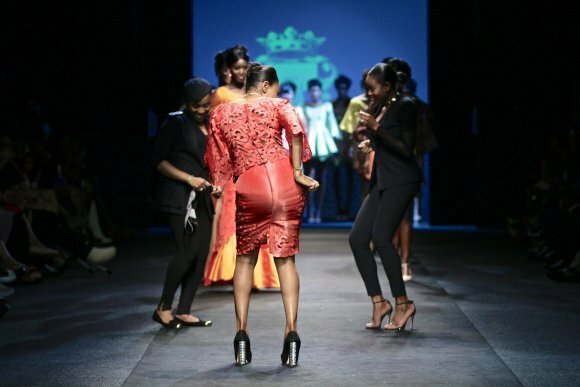 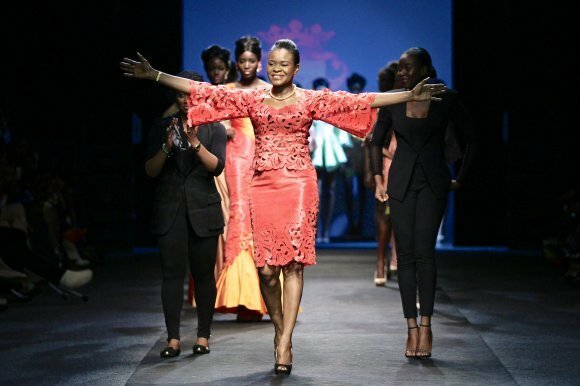 Komole in Yoruba means ‘dance and bend down low’ with swaying of the hips in an elegant fashion to the rhythm, so it was only fitting the final walk saw Sagoe herself dancing down the runway with her models.